Interested in financial planning and stock investment? 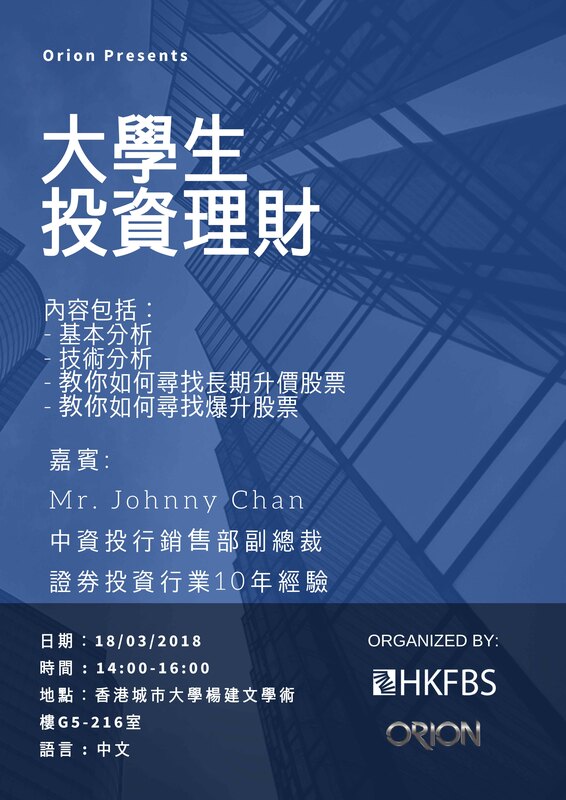 You definitely do not want to miss the HKFBS x Orion workshop on March 18th, 2018 (Sunday). The workshop provides deep insights in investing as well as stock investment. Please apply before March 16th, 2018.